A lower platform for a wider range of vision and unwavering stability provide surefooted agility, traction and control on hills and uneven terrain. 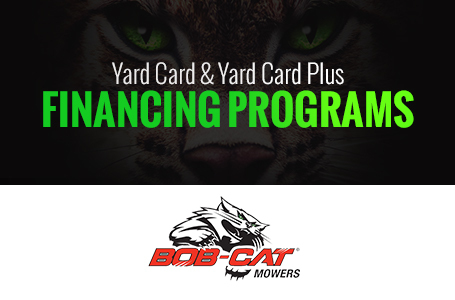 When you value everyday productivity, put ProCat™ RS value and performance on your crew. We've redesigned it with the same wide array of ride comfort, anti-vibration and ergonomic features as the Predator-Pro™ RS to deliver a great cut with less operator fatigue. You'll also cut downtime, thanks to ProCat™ RS reliability and easy-access maintenance. In other words, it's the total package. Peace Of Mind With The Mow With Confidence - Industry Best Warranty: 6-year / 2,750 hour limited warranty; Lifetime Warranty on the deck, deck cradle, and engine deck. Better Visibility And Stability: The BOB-CAT® ProCat™ RS touts a redesigned frame for better visibility, a seat platform that's two inches lower for an enhanced center of gravity, and more responsive controls. The frame has been redesigned for better operator visibility and for closer trimming without collateral damage to landscaping, trees and buildings. There's less slip and more grip on hills and slopes. New control levers eliminate lost linkage motion for smoother operation and less wheel marking and spin. Comfort Is Not An Option… It's The Standard! : A great ride shouldn't be an option. A premium high-back mechanical suspension seat is standard. 23" Zero T drive tires are standard. New AirFX™ Cutting System Assures Quality Of Cut: The ProCat™ RS features a 52” or 61” AirFX™ Cutting System. The AirFX™ mowing deck provides a unique combination of a deeper profile deck for improved vacuum, gapped baffles for more efficient air flow, a bull nose design that stands the grass up before it reaches the mower blades, and improved deck cleanliness. 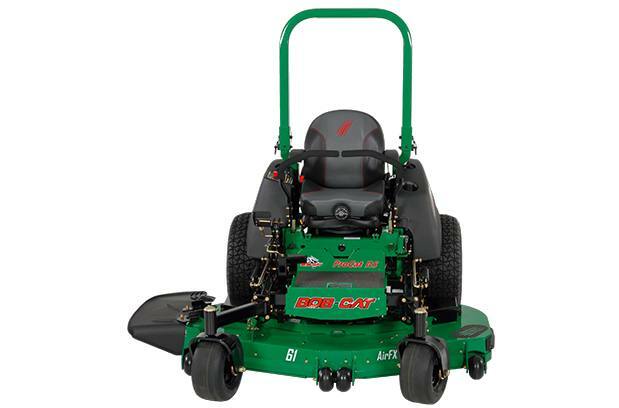 Easy Maintenance Access: Durable ProCat™ RS zero-turn mowers now offer easy-access maintenance. The forward tilting seat makes routine maintenance simple with easy access to the mower deck belt drive, hydraulic oil filter and PTO clutch. The ProCat™ RS also includes a tool-free engine drain valve. 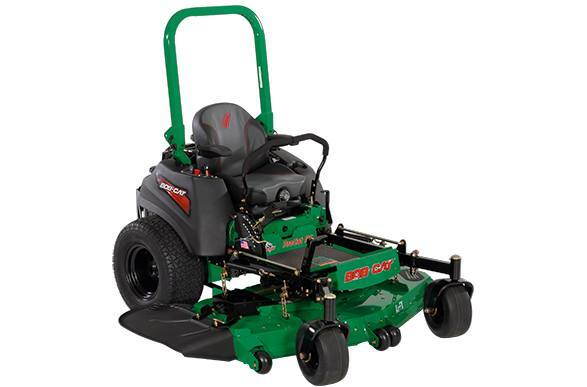 Durable Performance Assured: The ProCat™ RS touts powerful Kawasaki® FX engines; commercial-grade, twin 12cc Hydro-Gear™ variable displacement pumps with hydraulic oil cooler and Parker wheel motors; and heavy-gauge steel mowing decks with maintenance-free one inch shaft spindles with double-sealed, precision-ground ball bearings for unflinching performance and durability. Peak Productivity: ProCat™ RS commercial zero turn mowers are designed to deliver maximize productivity. 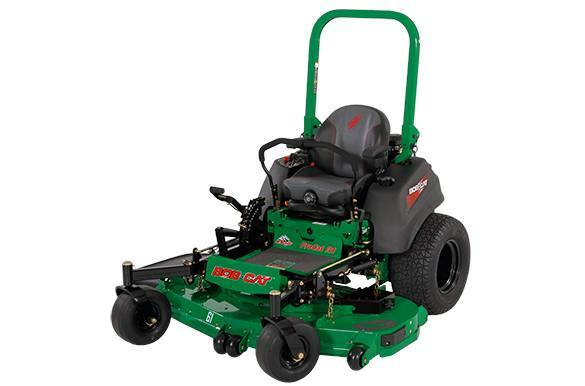 Featuring either a 52" or 61" mowing deck, ProCat™ RS also offers a range of power options from Kawasaki® and 14 gallon fuel capacity. Ground speeds up to 11.5 mph and fewer stops to refill keep you moving forward. ProCat™ RS commercial zero turn mowers execute a precise cut. Maneuvering around landscape obstacles is even easier with the redesigned frame that provides better operator visibility. ProCat™ RS is the total package for productivity and performance. Deck Design: AirFx™ are fabricated, formed and welded double-layered 10-gauge 7-gauge, and 3-gauge. Reinforced front lip and trim side. Patented Double-Wave Baffle System increases lift for a better cut. All ProCat™ RS models standard with folding ROPS.